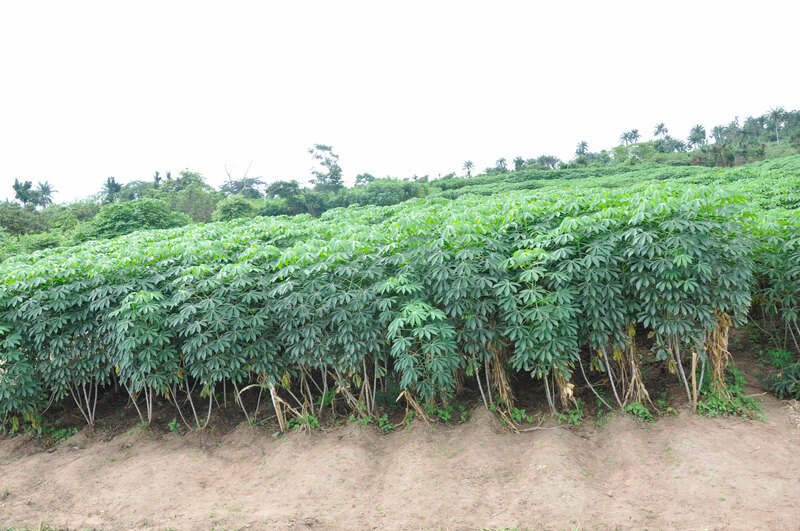 Scientists under the African Cassava Agronomy Initiative (ACAI) have developed decision support tools (DSTs) which can help farmers with the best recommendations for planting cassava in their fields. The new DSTs were developed to replace the older “blanket” recommendations, which did not consider site-specific conditions and thus often produced poor results. ACAI is a five-year project focusing on six use-cases, which reflect the different issues identified by cassava value chain actors as the most pressing problems. Each use-case has a lead scientist, supported by others to research, model, and develop the decision support tools. Fertilizer blending, the first use-case, was brought forward by the fertilizer industry because of the lack of knowledge on how to blend a fertilizer that really serves the requirements of cassava. 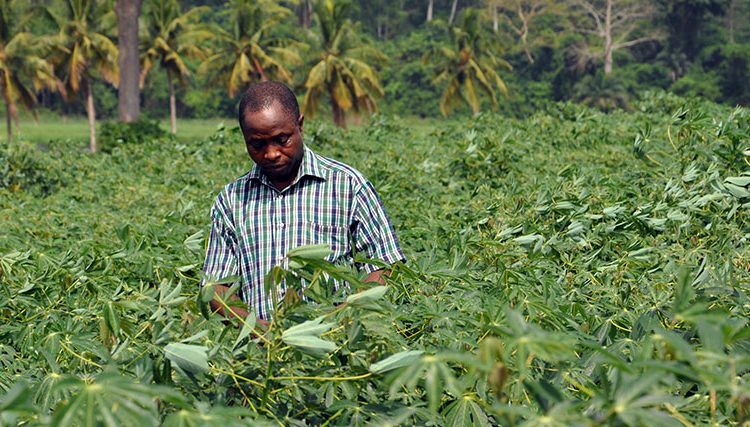 Although there are standard formulations, they are ineffective for cassava and need to be reformulated to produce the kind of fertilizer that would demonstrate clear yield and income advantages. The second use-case centers on site-specific fertilizer recommendations with respect to knowing the type, quantity, method, and timing of application of fertilizer. There is feedback between fertilizer recommendation and the fertilizer blending use cases because soils across Nigeria and Tanzania are different and different soils require different formulations. The fertilizer recommendation DST considers soil properties, climate, planting and harvesting time, target yield, and resource endowment of the farmer. Thus, the fertilizer recommendation will be specific to every field and to every farmer’s capacity to invest in fertilizer. With this DST on fertilizer application, it is possible to optimize the amount of money farmers invest on fertilizers and maximize the revenue from cassava. Cassava field for ACAI project. The intercropping use-case focuses on planting different crops together and particularly investigates what planting density of maize is best to attain high yields without compromising the cassava yield and the best possible use of fertilizer to increase yields and profitability. However, the best planting practices use-case does not exclusively look into methods of increasing yields but has a strong component on reducing the cost of production. This use-case was brought forward by the farmers’ association because one major constraint is the need to invest in tillage at the start of the season when neither yield nor prices are known. By reducing the initial investment to a minimum without compromising cassava root yields, the probability of attaining higher income from cassava will increase. The scheduled planting use-case was developed by the cassava processing industry to stabilize the supply of raw roots to factories and processing facilities. Currently, cassava supply peaks in the main harvest season and is too low before and after. The factories, however, need a certain amount of roots every day to use their capacity and to work profitably. Along with high and low supply phases come price fluctuations that can hurt both the processors and the farmers. With methods that would lead to a more uniform distribution of the cassava production across the year, prices would stabilize and factories would process at a lower cost leading to higher income for farmers and potentially lower product costs for consumers. The scheduled planting use-case is linked with the high-starch use-case which focuses on attaining the highest possible starch content of cassava. Many processing factories price cassava according to the starch content. This means that cassava with a higher starch content will fetch a higher price per ton. The industry is interested in high starch cassava because the extraction costs decline with higher starch content. Farmers should thus be interested in knowing how to grow cassava to achieve high starch content. This is the fourth year of the ACAI project. The first three years concentrated on research and development of the DSTs to help farmers with the best site-specific recommendations. Currently the project is engaging many extension agents to get training on the use of the different DSTs. Together with farmers, extension agents test the DSTs in validation plots to assess if and by which margin the yields and revenue increase when farmers follow the recommendations of the DSTs. After the validation phase, extension agents and farmers who want to use these tools can download the DSTs as apps on smartphones and apply the technology in their fields. The Global Positioning System (GPS) in the phones will read the coordinates of the field and report back to a server, which will make use of all available data to understand the situation of the field. In addition, the farmer needs to answer a few questions and the app will make recommendations. Farmers can then follow the recommendation and compare if the recommendation is better than their usual practice and report back if the recommendation produced higher yields and how much. These data are used to reduce the risk of incorrect recommendations and to further fine-tune the DSTs to improve cassava productivity and achieve higher incomes for farmers.